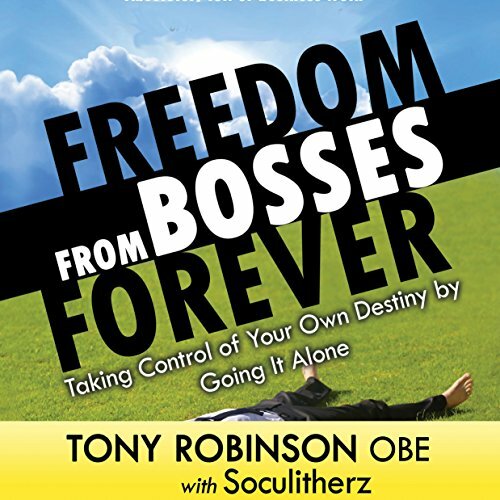 Freedom from Bosses Forever is a book every lover of satire will enjoy, even if they are not interested in starting and running their own business. It has been described as unique by many reviewers and critics because the characters that appear in it are fictional apart from the much derided Tony Robinson OBE. 'Snorting with laughter' is not an unusual listener reaction. What did you like most about Freedom from Bosses Forever? I loved the Terry Pratchet-style self-depreciating humour mixed with lots of great advice for micro, small and startup businesses. The way the bizarre story draws you in to a world that seems crazy until you discover it's only a fictional account of the crazy world we live in. Have you listened to any of Tony Robinson OBE’s other performances? How does this one compare? Only on YouTube - this one is right up there. Avuncular advice told with a twinkle in the eye. Yes, how disparaging Leonora was about the person who created her. Seems so unfair and ungrateful, so Leonora though. When you listen, keep your tongue in your cheek as the narrator had his there !